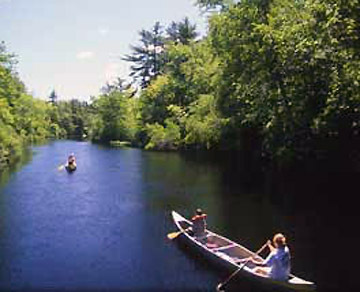 Lathrop Brothers Coal and Ice Company was located at “Tougas’ pit,” a small body of water that may have been an old channel of the Ipswich River. 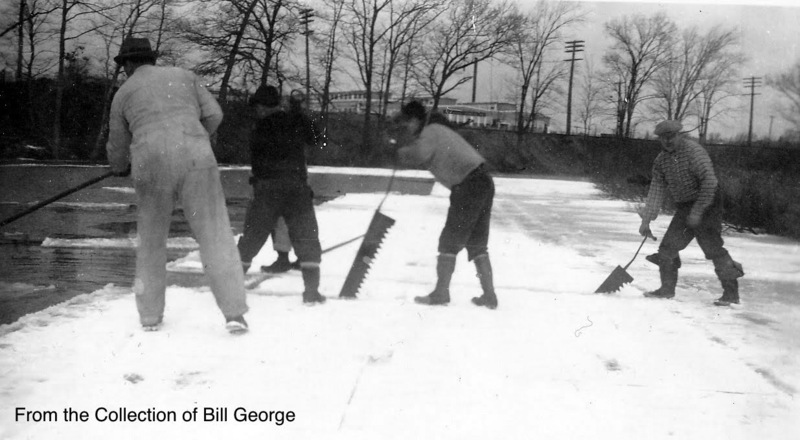 It can be accessed off of Hayward Street at “Ice House Crossing.” Photos courtesy of Bill George and archives. Susan Howard Boice wrote that it took three railroad cars full of lumber to build the ice house. The inclines on the outside of the building were used to haul ice up the levels. 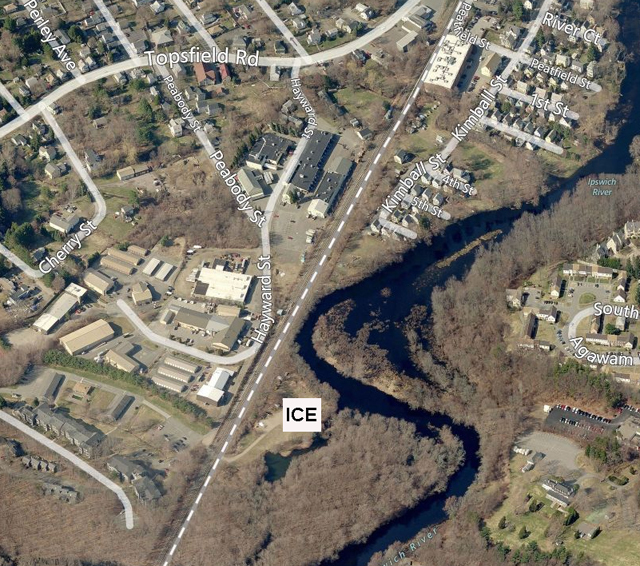 Ice was harvested on the Ipswich River between Upper River Road and Haywood Street. 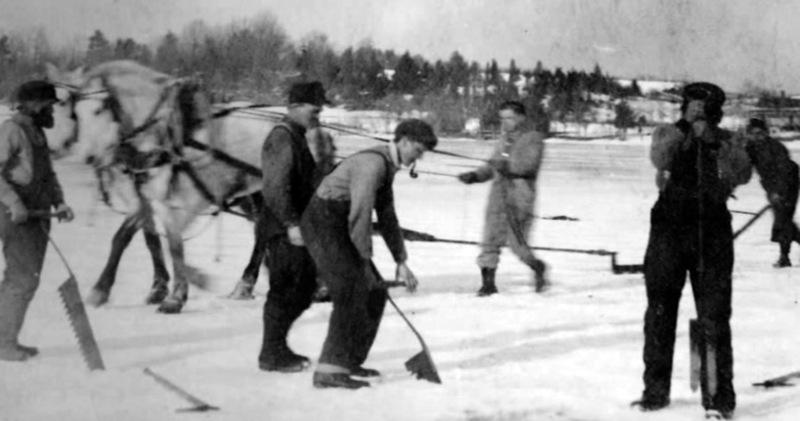 Lines were drawn on the ice and horses dragged “groovers” along the line, cutting the ice about 6 to 8 inches deep. was cut into rectangular blocks. 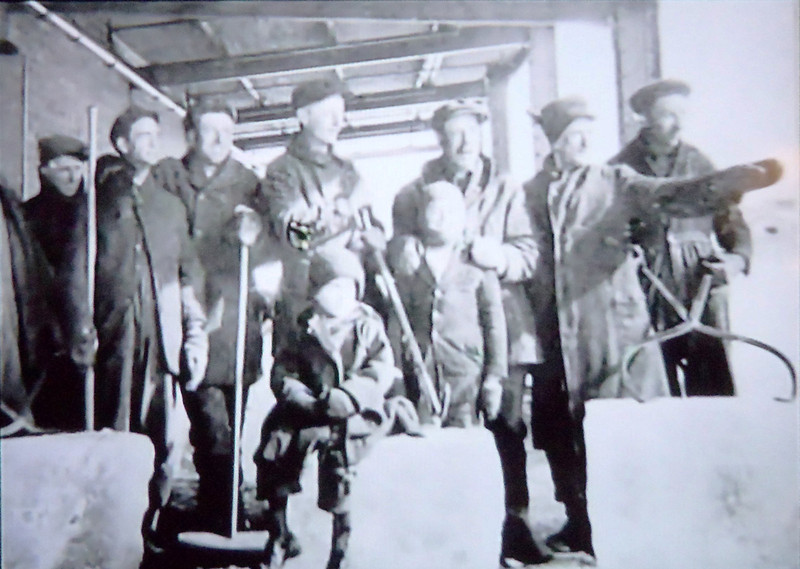 The ice was then floated to the ice house, where it was cut to 22″ blocks using a sharp needle bar. 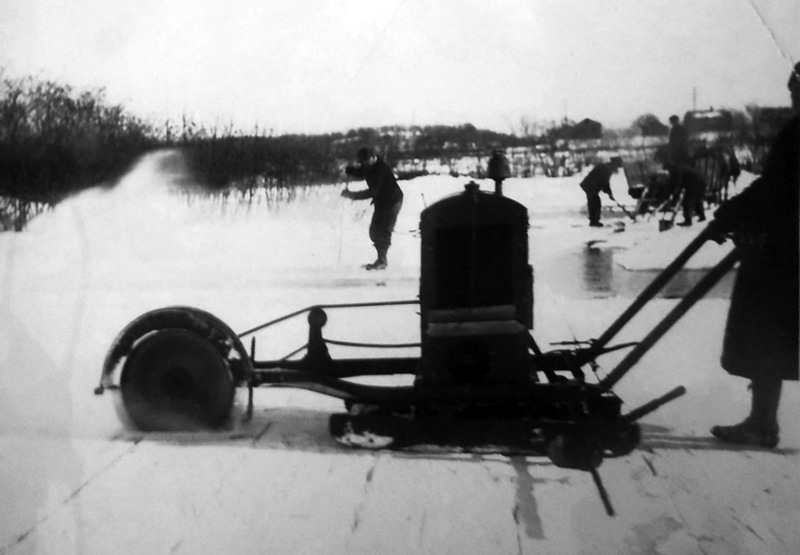 horses or motors moved the ice up inclined ramps, where metal bars along the inclines shaved the blocks to a uniform size. 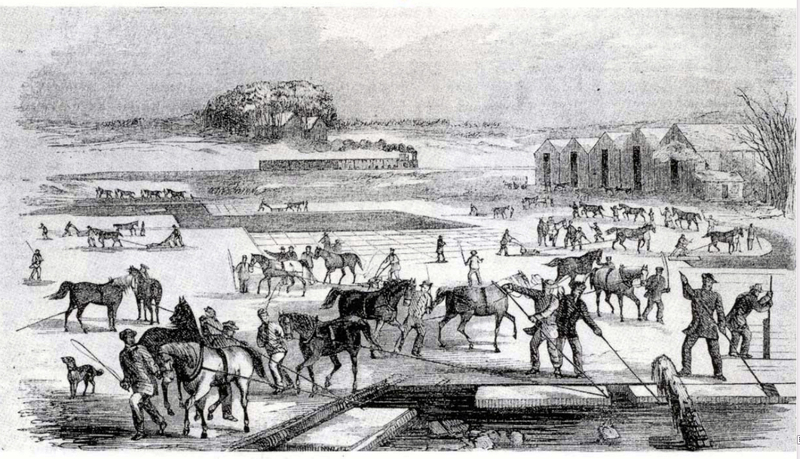 Inside the ice house, “wingers” with spiked boots swung the ice blocks into piles. 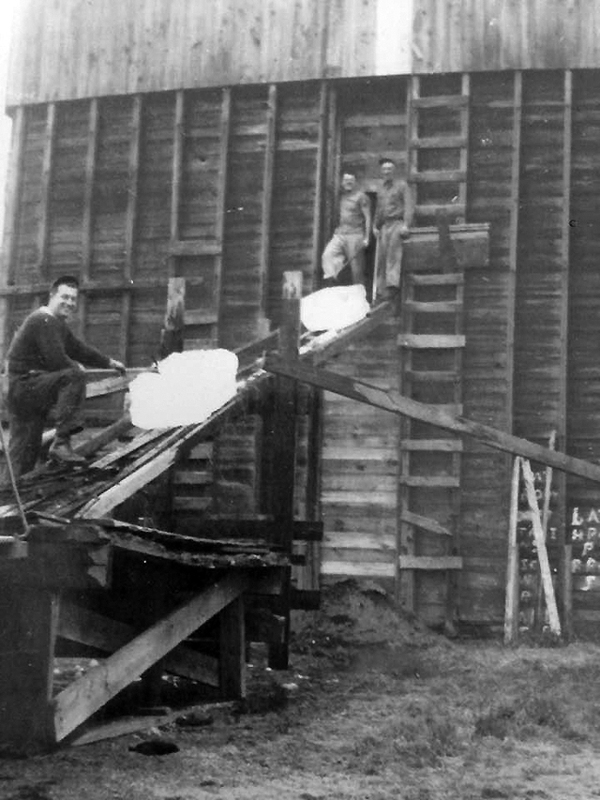 The blocks were covered with hay, and the sawdust insulation in the walls helped keep the ice from melting until summer. Ted Pickul tells us that he played in the old ice house as a child, and remembers Art Leclair cutting ice there, storing it, and delivering it to people until summer, when he usually ran out. Basically right behind River Ridge on Colonial Dr.